Lifetime Goodland resident Leonard McDill “Mac” Thompson, age 81, went home to be with the Lord on April 4, 2019 at University of Colorado Hospital in Denver, CO. He was born in Goodland, KS on July 21, 1937, to Leonard Allen and Juanita (McDill) Thompson. Mac grew up in Goodland where he attended Sherman Community High School and graduated in 1956. A stalwart athlete while at Goodland High School, Mac played football, wrestled, and played baseball in the summers. He also had the lead role in the play “The Robe” in high school. On April 21, 1963 he married the love of his life, Patty Jean Hayden at the Methodist Church in Goodland. A man of many talents, Mac had several occupations over the years. He served in the US Army for 3 years and was stationed in Alaska at Eielson Air Force Base near Fairbanks at a radar site in 1959-1962 as Fire Control Crewman, Air Defense, Nike-Hercules. 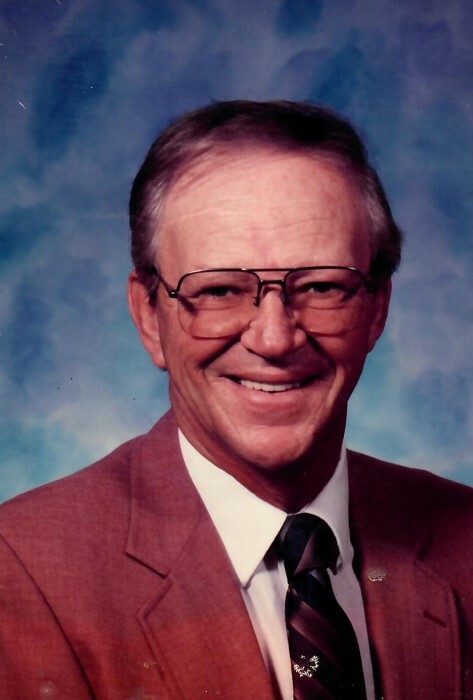 He excelled at many other occupations during his lifetime including spending time as a teacher, coach, farmer, cattleman, contractor, and school counselor. Mac gave his life to Christ after the tragic death of his two sons in 1981 and became a member of Calvary Full Gospel Church in Goodland. At that time, he felt led by the Lord to go back to school and become a high school counselor. He served as a counselor at several area schools including St. Francis High School, Brewster High School, and Weskan High School. Mac took great pride in working to maximize college scholarship opportunities for all of the kids attending the school where he was working. Mac spent many years investing his time and efforts in the youth of our area. He served on the Goodland Recreation Board, the USD 352 School Board, and coached numerous years in the Goodland Little League, K18, and American Legion Baseball programs. In 1980, Mac led the Goodland K18 baseball team to a State Championship. He enjoyed watching and coaching baseball, fishing, hunting, and most of all being a wonderful son, faithful husband, and great father spending time with his family. He was preceded in death by his parents; sons, Marsh and Matt Thompson, grandson, Elijah Joseph Thompson; and sisters, Helen Annie Thompson and Mary Loretta Larson. He is survived by his wife, Patty; sons, Mitchell (Amber) Thompson of Waco, TX and Nathan (Anna) Thompson of Fayetteville, AR; granddaughters, Mary Conley Thompson and Caroline McDill Thompson of Waco, TX, Nevaeh Kay Thompson, Natalie Hayden Thompson, and Nora McDean Thompson of Fayetteville, AR; brother-in-laws, Edward Larson of Topeka, KS and John Leo (Judy) Hayden of Goodland, KS; and many nieces, nephews and their spouses, and great nieces and great nephews. Funeral service will be Tuesday, April 16, 2019 at 10:30 a.m. at the Calvary Gospel Church, 402 College Street in Goodland, KS with interment in the Goodland Cemetery. Visitation will be Monday, April 15, 2019 from 4:00 to 7:00 p.m. at Bateman Funeral Home, 211 East 11th Street, Goodland, KS.